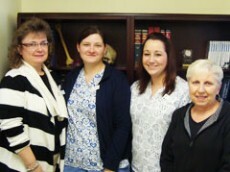 This group is comprised of 10 full time employees and is headed up by our very capable practice manager, Melissa Ewing. Melissa was selected to replace Jean Moyer, who retired from Pottstown Oral Surgery after over 40 years of dedicated service in that capacity. Melissa brings with her a vast education and experience in accounting and business management. 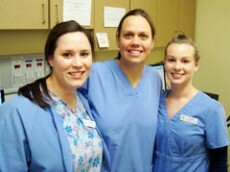 This department is further specialized with 5 full time individuals with reception/scheduling responsibilities. This includes services for our two offices as well as the operating room schedule at our hospital, Pottstown Memorial Medical Center. Additionally, there are 4 fulltime personnel who service our patients’ health insurance needs and handle the claims as well as all the troubleshooting issues which our patients face, and navigate through this complex system on their behalf. Truly this service to our patients demands a team of experienced and dedicated professionals and we are indeed fortunate that such a group is with Pottstown Oral Surgery. 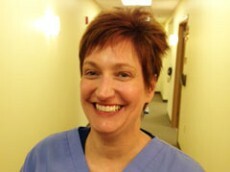 Eleven clinical personnel comprising 8 nurses and 3 surgical assstants is headed up by our talented and experienced nurse manager, MaryJo Wilcox, RN. 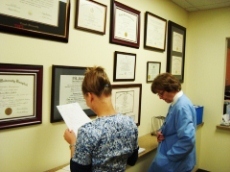 MaryJo has been with our team for 18 years and has a vast knowledge of the clinical care of the oral and maxillofacial patient as well as Emergency Room and critical care nursing. She steps into this position following Ruthie Bower, RN, who has moved to part time after over 40 years with this practice. 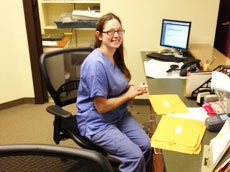 Our Clinical employees service our patients with a broad range of skills. 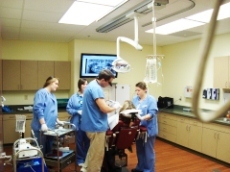 This includes the taking of digital radiographs, review of medical history, direct surgical and anesthesia assisting, recovery room care, and wound care. And in their spare time they will hold your hand through it all!